Betsy Ross threatens "I'll sweep you out of here" to Boston's Paul Revere, Monday, Jan. 29, 2018. 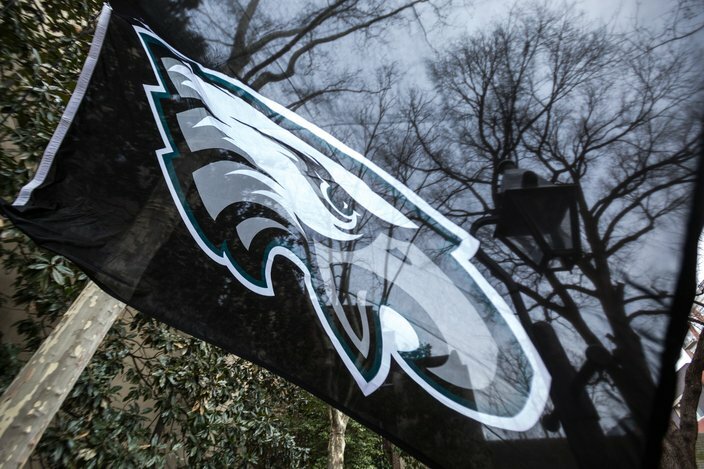 As a kickoff to Super Bowl week in Historic Philadelphia, Betsy Ross (played by actor Carol Spacht) proclaimed loyalty for her hometown Philadelphia Eagles as she replaced her traditional 13-star flag with a Philadelphia Eagles flag outside of the Betsy Ross House in Old City Monday. During the rowdy event, Ross said confidently that the Philadelphia Eagles will be victorious in the big game, but was met in opposition by the Patriot Paul Revere who abruptly crashed the flag raising and cheering of a rousing "E-A-G-L-E-S" chant. Ross and Revere both made a friendly wager: “If thy humble Patriots somehow defeat our mighty Eagles, I shall raise a lantern above my house, but in exchange, when our mighty Eagles defeat those Patriots, then thou must be willing to fly and raise a flag of 13 stars and 13 stripes – stars of of my own design, on top of Old North Church in Boston," exclaimed Ross. 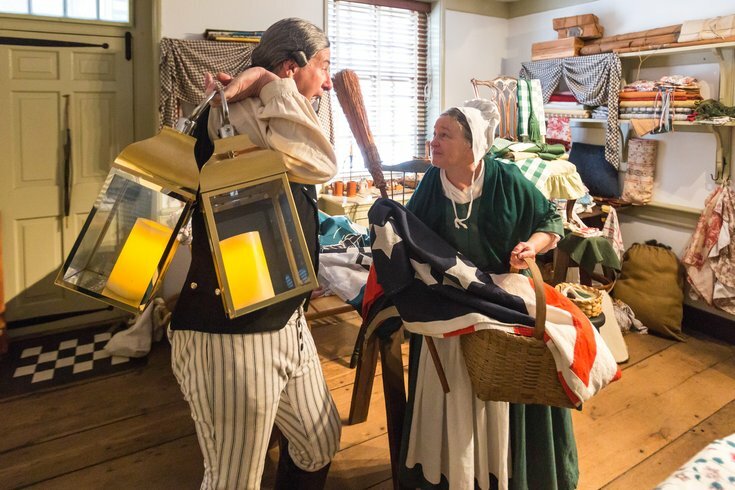 As part of Super Bowl week celebrations, all visitors to the Betsy Ross House wearing Eagles gear will receive $1 off admission and 20 percent off a single gift shop item through Super Bowl Sunday, Feb. 4. Below are a series of photos from the event with Betsy Ross and a few of her colonial friends. 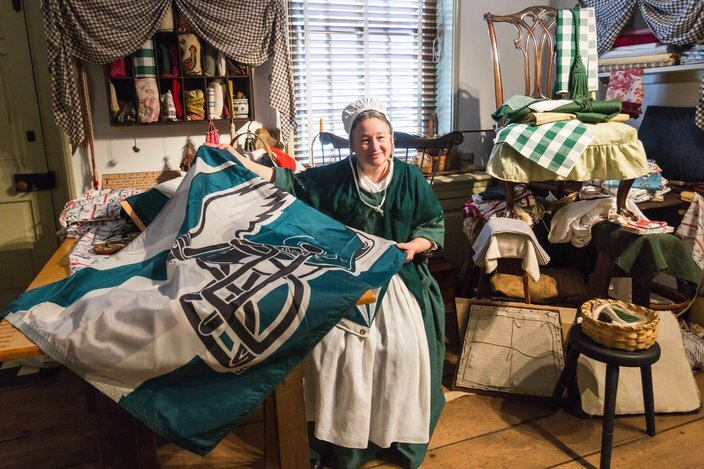 Betsy Ross poses with a Philadelphia Eagles flag at the Betsy Ross House in Old City Philadelphia, Jan. 29, 2018. 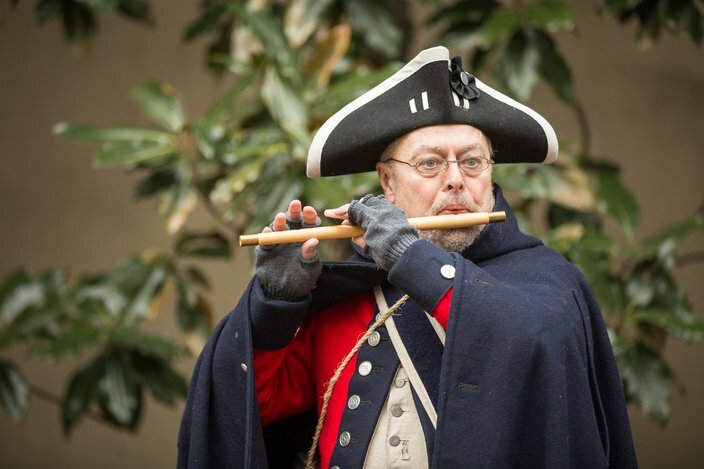 John Lyon, a colonial friend of Betsy Ross plays the traditional “Fly, Eagles, Fly” song outside the Betsy Ross House in Old City Philadelphia, Jan. 29, 2018. 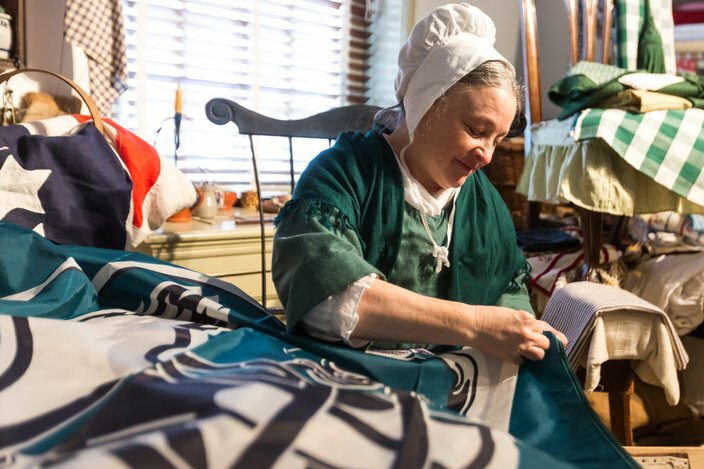 Betsy Ross stitches on a Philadelphia Eagles flag in Old City Philadelphia, Jan. 29, 2018.